Just like black dogs, black cats also have a hard time getting adopted. A lot of that has to do with superstitions. Personally, I had a black cat, and everyone loved him. He was the sweetest, and had a playful personality. His green eyes stood out against his expressive face. Why Don’t People Adopt Black Cats? I have trouble understanding this, but there are some people who regard black cats as witches’ familiars. 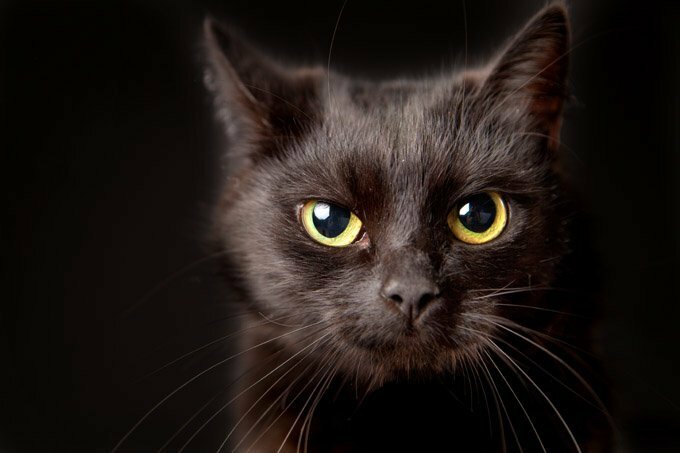 It has gotten so bad that shelters won’t adopt out a black cat around Halloween. It seems that people want to use black cats for rituals around that time. So a good number of shelters refuse to adopt out their black cats from the end of September to the beginning of November. And I know this is going to sound screwy, but some people believe that vampires transform themselves into black cats and dogs as a way of traveling unnoticed at night. (I just don’t get some people.) So unfortunately, black cats and dogs are the last to be adopted, if at all. Black Dog and Black Cat Syndrome are real. They refer to the difficulty these animals have when it comes to finding forever homes. The next time you are looking to adopt a dog or cat from the shelter, take personality into account. Talk to the shelter workers or the workers at the rescue group, and make an informed decision. Don’t forget that August 17th is Black Cat Appreciation Day! And if you’re reading this after that day has passed, don’t worry. 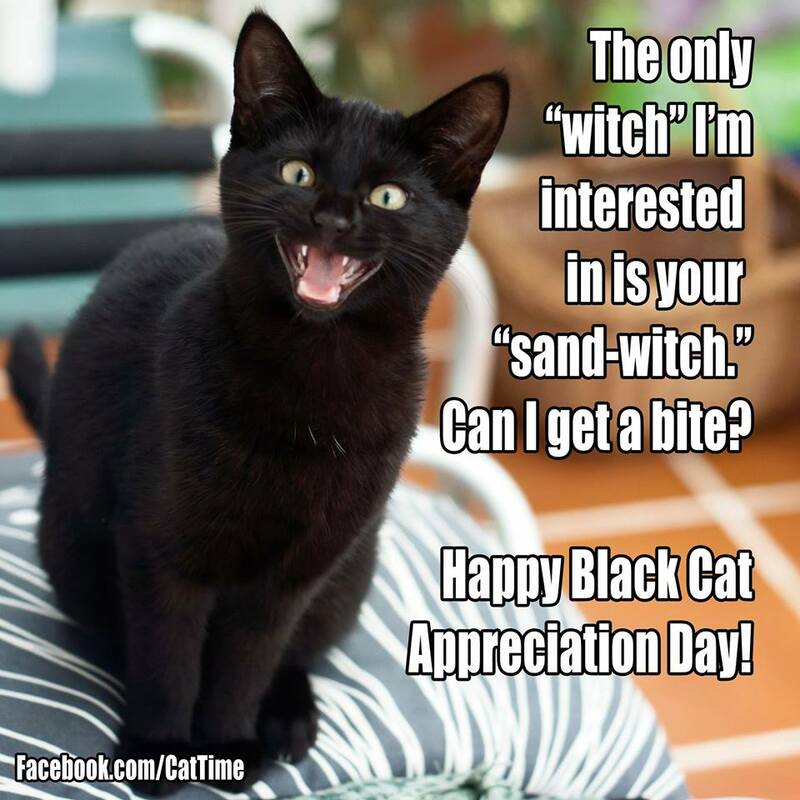 October 27th is National Black Cat Day! Why not celebrate black cats twice a year? Michele C. Hollow writes Pet News and Views, a blog devoted to the positive side of animal welfare. Her blog covers news about people who work with and for animals and animal nonprofits.